Reach for a soothing cup of herbal tea and harness the extraordinary power of natures most potent healing ingredients. With more than 70 expertly formulated recipes for tasty, soothing, caffeine-free infusions, you can blend, brew and sip your way to wellbeing. Beautiful colour photography. 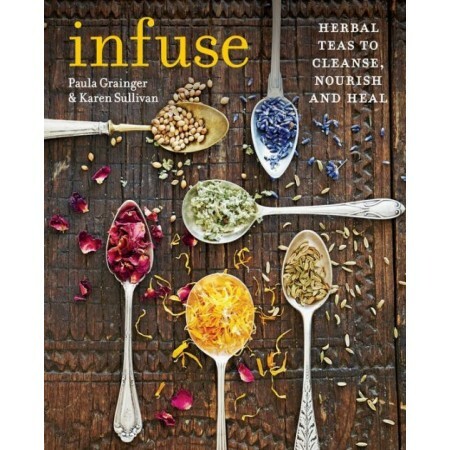 Infuse is packed full of recipes for delicious herbal teas that have been expertly formulated to prevent and treat dozens of common physical and emotional health conditions. Therapeutic herbal teas and infusions are quick and easy to make. So, if you are feeling run down or having trouble sleeping you will find the tea to remedy. Divided into thematic chapters to help you pinpoint your needs, this stunning book provides you with an arsenal of recipes that will keep illness at bay, promote glowing good health and encourage positive emotions. 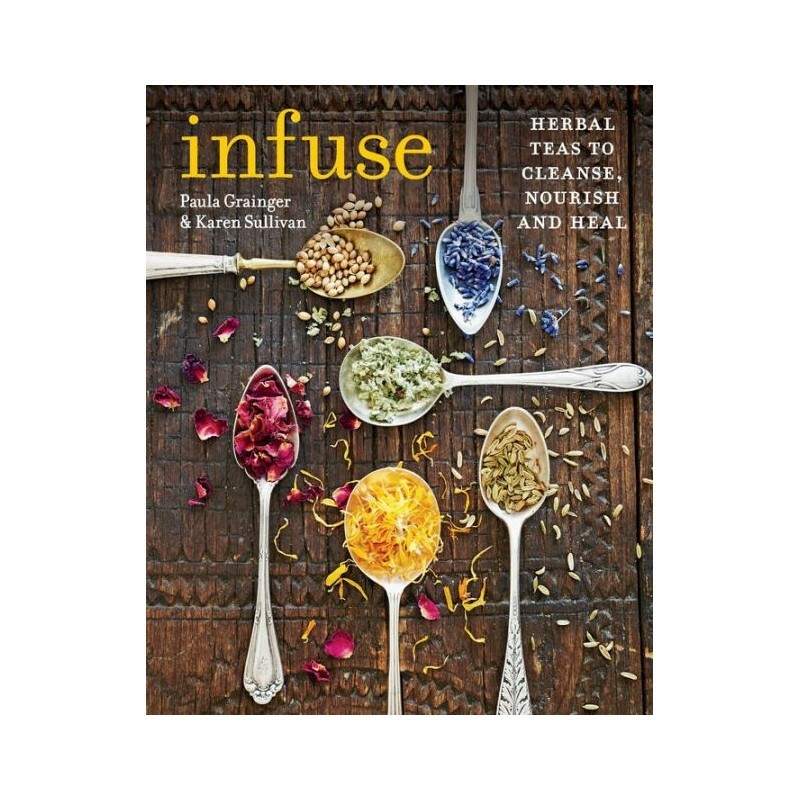 Complete with a comprehensive index or Herb-pedia, outlining the key health benefits of every herb in the book, and an invaluable resource section, helping you to access all the ingredients, here you have everything at your fingertips to make herbal infusions that will nourish, support and treat with every sip. Written by Paula Grainger and Karen Sullivan. Soft cover. 23.5cm x 19.5cm. 144 pages. Colour photography.